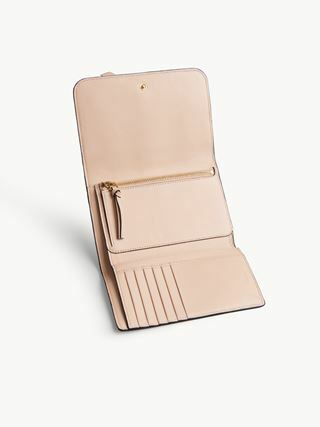 The Alphabet compact wallet is scaled down to fit only the essentials — ideal for Chloé girls who prefer to keep things light and simple. 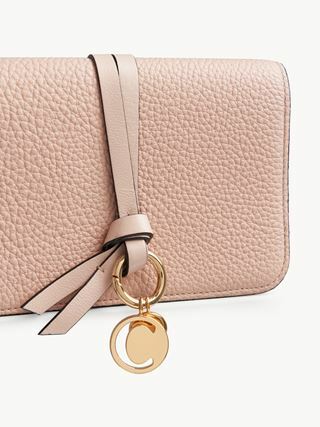 The wallet's smaller proportions make the Chloé-designed golden initial charms more striking. The delicate leather links and metallic detail add a feminine and decorative touch. Petite by design, this Alphabet wallet will slip easily into your clutch or a small bag.